On 1 April 2018, Stefan Zinn took over the management of sales in the core West European markets from Rainer Zumholte, who has left the company for personal reasons. Stefan Zinn is an experienced sales professional. He came to Pfleiderer in 2013 as Managing Director Industry and Project Business in Western Europe and took over responsibility as Managing Director of Export Sales in February 2017. He manages both functions with great success. 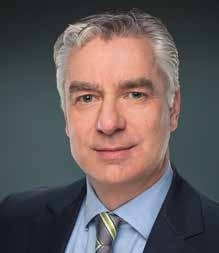 “With Stefan Zinn as Managing Director Sales Core Markets West Europe, Pfleiderer will continue on its steady path of profitable growth with our customers from the furniture industry, the timber trade and the construction industry”, said Ivo Schintz.